For many of us, the presidential election of 2000 was a wake-up call. The controversy following the vote count led to demands for election reform. But the new voting systems that were subsequently introduced to the market have serious security flaws, and many are confusing and difficult to use. Moreover, legislation has not kept up with the constantly evolving voting technology, leaving little to no legal recourse when votes are improperly counted. How did we come to acquire the complex technology we now depend on to count votes? Douglas Jones and Barbara Simons probe this question, along with public policy and regulatory issues raised by our voting technologies. Broken Ballots is a thorough and incisive analysis of the current voting climate that approaches American elections from technological, legal, and historical perspectives. The authors examine the ways in which Americans vote today, gauging how inaccurate, unreliable, and insecure our voting systems are. 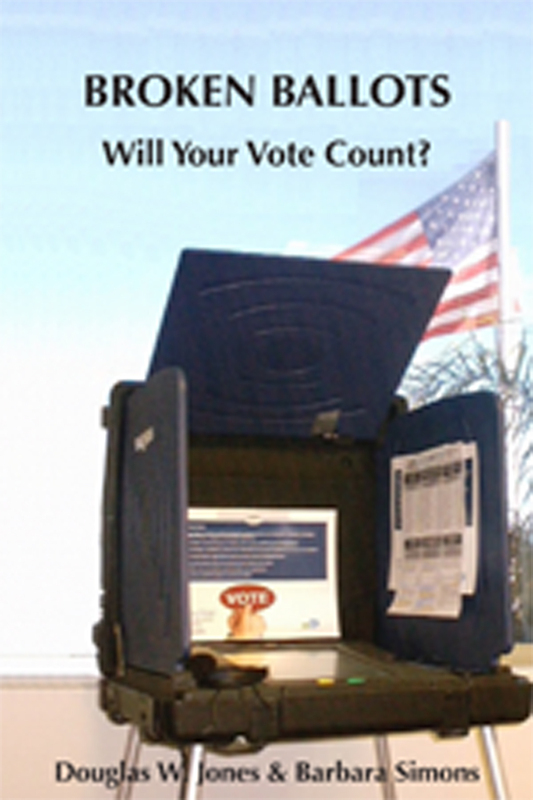 An important book for election administrators, political scientists, and students of government and technology policy, Broken Ballots is also a vital tool for any voting American. 4.4 What is a Vote? 5.4 What’s Wrong with DRE Voting? 5.7 What Happened in Sarasota? 7.7 What Can We Learn from Diebold? 9.8 How Accessible are DREs?